When my husband and I got married, I worked full-time until he was done with school. 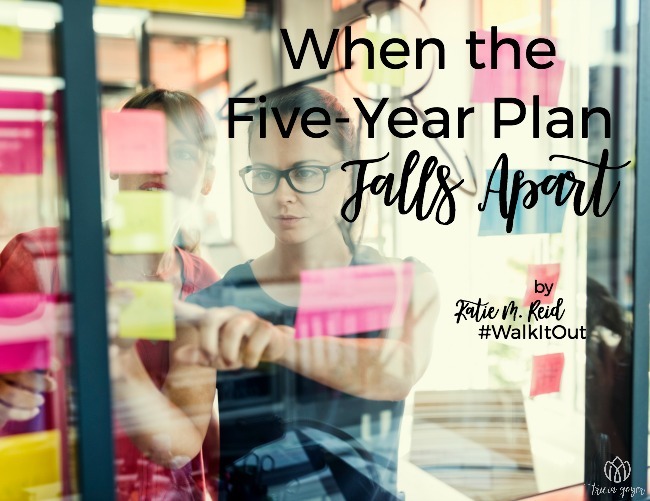 After that we planned on working for a few years, and saving quite a bit of our salaries, so when we had kids, and I stayed home with them, we wouldn’t be used to living on two incomes. It was all set, our beautiful five-year plan. But, surprise, surprise, that isn’t how it happened—quite the shocker to my plan-it-out-and-execute-it-effectively self. I taught until our first child was born. Adam graduated and looked for a job in youth ministry. We never got used to two incomes after all. We experienced ups and downs during this season, like the surging waves of my post-natal hormones. But, finally, it seemed like things were steadying out and calming down. It looked like Adam was a shoo-in for a youth leader job and we were waiting on the details of a financial package. Adam stopped applying for other jobs because we felt confident that God was leading us to this one. We anxiously anticipated the phone call that the church was indeed going to hire him. During the wait our family of three had our picture taken. Little did we know that our happy grins, forever captured, would serve as a bittersweet reminder of the hardest day in our marriage. After the picture, Adam stayed home with our baby girl while I went to the store by myself. I came back home rejuvenated. As I walked up to our front door, Adam opened it. Tears were streaming down his face. I came through the doorway of our white Cape Cod and we hugged hard there in the entryway. My husband was undone. No job. A wife and baby to care for. A mortgage. We cried ourselves out. We were confused. We had stepped out in faith like never before. Had we heard incorrectly? Were we being punished? We decided to get out of town and go see our mentors, who had recently moved to a Bible camp near the Michigan/Indiana border. We arrived with heaviness and were welcomed in our brokenness. We took in the beautiful sights of camp: blue sky, tranquil lake, cheery dandelions blanketing the grassy field, deep green trees lining the grounds; life all around. On the second night of our stay, our friend sat us down for a heart-to-heart. We had questions. We had sought God and thought that the youth leader job was what we were supposed to do. What had gone wrong? It seemed to make sense, although I wondered if it was just a nice way of explaining away something hard. Our friend asked Adam if he might consider being a part of the discipleship program at camp. He described the spiritual and vocational benefits and laid out the practical details too. There would be minimal pay but valuable training. A mere 480-square-foot bungalow was available for housing but it overlooked the lake. There wasn’t a lot of counter space in the house’s kitchen but many meals were provided in the dining hall. After this conversation Adam and I retired to the guest room. “So, what did you think?” Adam whispered. “You go first,” I insisted, worried that he didn’t feel the same way I did. “I haven’t felt this excited about something in a long time!” he confessed. When we fled town, we had no idea that God was up to something big. God made it clear that we were to move and Adam was to be a part of the discipleship team. We were scheduled to return to camp in two weeks. There were mountains to climb, like how to pay our mortgage. But we knew that somehow God would provide. We drove back home with full hearts. Packing became an act of worship as we prepared for this unexpected adventure. Weeks beforehand God had led me to read Isaiah 55. I reread it after our camp visit and started laughing—it was the perfect passage for the Bible camp on the lake. Soon the last moving box was loaded onto the trailer as we headed back to camp. We left behind our once-sure plans and chose to follow our covenant-keeping God. As we pulled onto the oak-lined road that led to the 480 square foot home, I think the trees of the field were clapping. 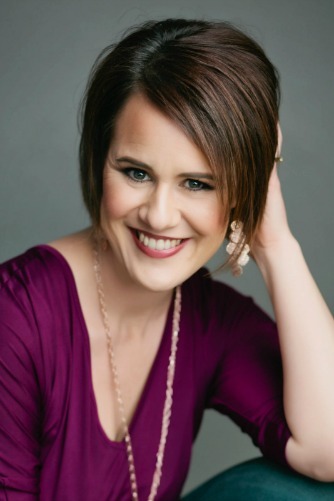 Katie M. Reid is an author and speaker who encourages you to find grace in the unraveling of life. 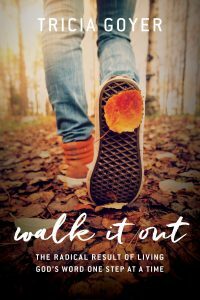 She inspires her readers and audiences to embrace their identity in Christ and live out their God-given purpose. Katie delights in her hubby, five children, and country living in the Midwest. She is a fan of cut-to-the-chase conversation over hot or iced tea. Katie and her husband host the popular Facebook Live show, “Stop! Hammock Time” (which airs Wednesdays, 9pm EST). Subscribe for free at katiemreid.com to receive weekly encouragement. Connect with Katie on her website, Facebook and Twitter. And look for Katie’s first book coming out next summer with WaterBrook!